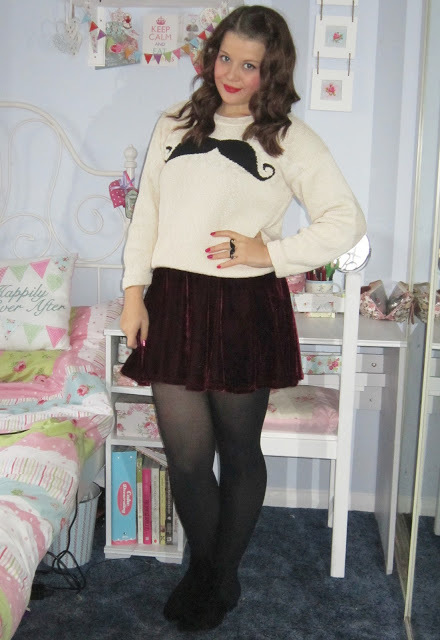 So, Movember is almost over, so I thought I should spend a day getting into the spirit by going out all moustachey! Okay I don’t have that many moustache items, but it’s the thought that counts right 🙂 I love this jumper, I’ve worn it loads! The matching earrings and ring I bought of eBay a while ago, they’re cute and we’re so cheap! They we’re £1 each with free delivery! Would make cute stocking fillers, they do a moustache necklace too! Does anyone know how Chinese sellers manage to sell stuff so cheap by the way and not charge for postage?! Victoria you little stunner! You look amazing here! 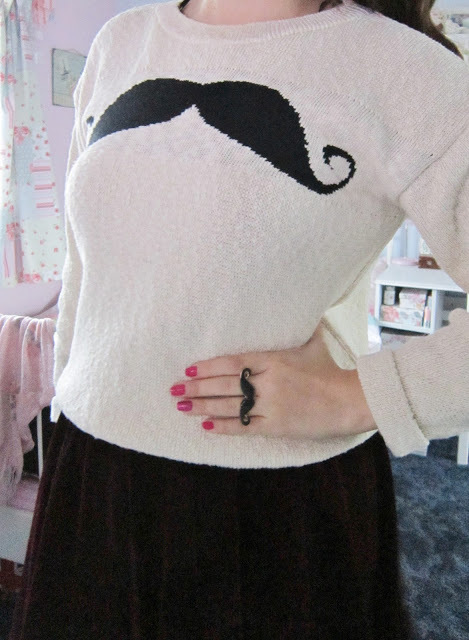 im obsessed with moustaches at the moment – this jumper is AWESOME! so adorable, the earring. and you looks amazing as always. Oh well done you for supporting such a great cause in your own way. 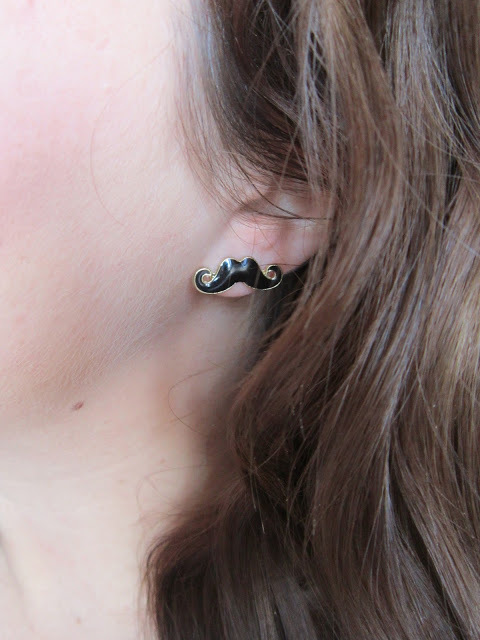 I love the moustache earrings the most, GORGEOUS! There's nothing like bargains from ebay! Well worth the money! You look lovely!